It's the season for print. I'm a major sucker for anything that's cheetah. 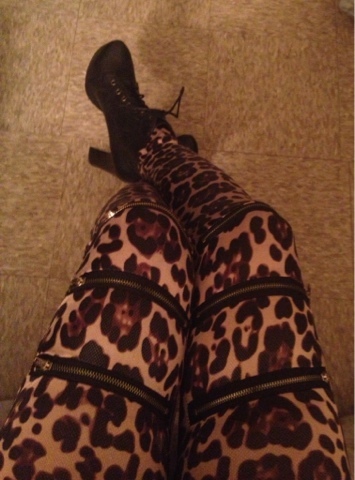 My stylist friend and fellow blogger Julissa E., of Anchors & Mannequins, picked up these cute leggings for me. She styled me for an event and paired these leggings with my Jeffrey Campbell booties. The zippers on the leggings make them fun!